It starts with the cursing, then the bloody knuckles, and eventually out comes the big hammer — we’ve all been there with a stuck, chewed-up bolt. This seven-piece ratcheting bolt-out set from Sears might be able to help, and it’s only $10. The set includes a Craftsman Crown-Lock double-ratcheting box wrench and six bolt-out extractors in sizes 8mm through 13mm and 15/16″, 3/8″, 7/16″, and 1/2″. You can get it online and in-store. If you do any kind of engraving on glass, metal, or ceramic you might want to head over to Sears and check out this Craftsman engraver set that’s currently selling for $25. Armed with a carbide stylus, the engraving pen features a variable-speed throttle, perfect for security engraving or maybe even a spot of home dentistry. 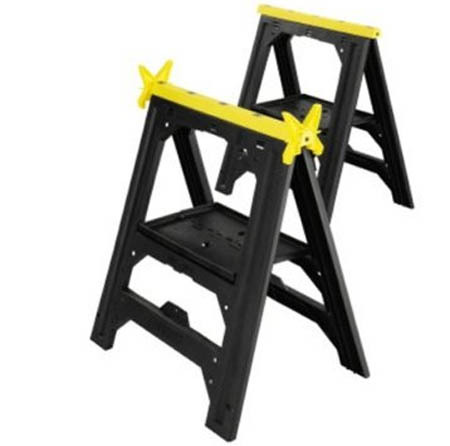 Amazon is currently offering this twin-pack of Stanley folding sawhorses for $30 — which, using my amazing math skill, comes to $15 a horse! Rated for a maximum load weight of 1,000lbs, the sawhorses feature two sawing grooves and a built-in ruler on top. Rubber anti-slip feet on the bottom keep the unit stable. They fold flat for easy transportation and storage. With summer coming to an end and fall fast approaching, you want to get your yard in order before winter arrives — that includes cutting back and pruning your trees as they enter into their dormant period, and before the heavy snowfalls. 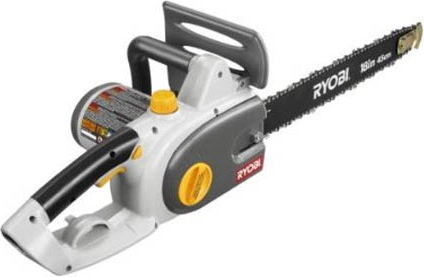 To help with that, Amazon’s selling this 18″ factory-reconditioned Ryobi electric chainsaw for $80, with free shipping. The saw features a 3.5HP, 13A motor, automatic bar and chain lubrication with quick view, and a molded plastic case. If you’re in the market for a cheap and cheerful power inverter, then head over to Buy.com and check out the Jensen JP-20. It features a load capacity of 160W continuous power/300W peak power, which makes it perfect for charging power tools and running lights. Buy.com is selling it for $15, with free shipping. Sears is offering the best deal of all — a deal that’s free. Just print out the coupon from the link below, present it at your local store, and walk out with a 1-1/2″ or 1-3/4″ Master padlock. The coupon expires September 13, 2008, and it’s limited to one per customer. 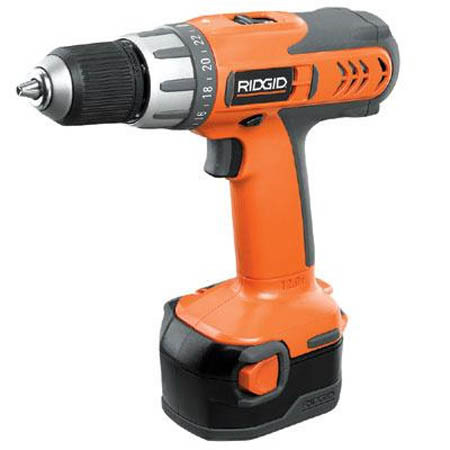 Home Depot has dropped the price on this RIDGID 3/8″ drill to $79, through August 25, 2008. The cordless drill features a 24-position clutch, variable-speed 12V motor with High and Low settings, and the Rapid Max Charger which charges the battery in 20 minutes. The offer’s available online only, with shipping costs running around $7. For lawn purists, the push reel mower is the only way to cut your grass — the eco-friendly tool also makes for some great exercise. 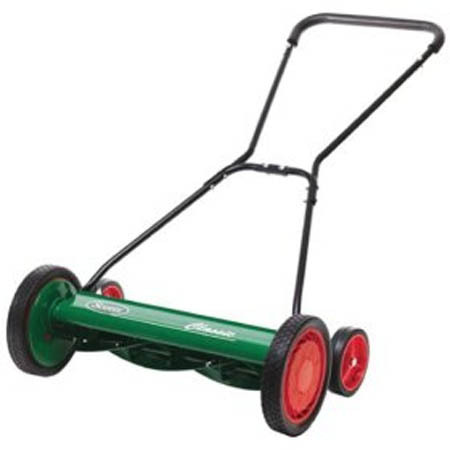 Factory Lawn and Garden are currently listing this Scotts 20″ push reel mower for $93. The mower features nine cutting heights, from one to three inches, and it comes with five heat-treated blades and a two-year warranty. Amazon is also listing this mower, but for $99. I stumbled across this deal at Sportsman’s Guide — strange place to buy a vise, I know. 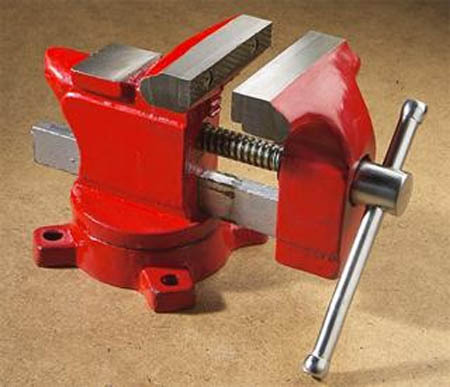 You can get this KR Tools 3-1/2″ cast iron bench vise for $5 when you apply the code “SH638” at checkout. Rated at 8,000 PSI, the vise features replaceable steel jaws, dual-locking 360-degree swivel base, chrome-plated handle, and a striking anvil on the top. It weighs about ten pounds, which makes shipping about $5 to most locations. 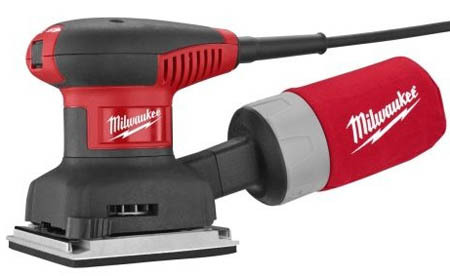 Amazon’s got another deal/steal for us: a Milwaukee 1/4″-sheet palm sander for $30, including free shipping. The lightweight 3A motor generates 14,000 orbits per minute. An ergonomic body design with tactile rubber on top gives more control with less hand fatigue, and pad cushioning reduces swirl marks and ensures a smoother finish. 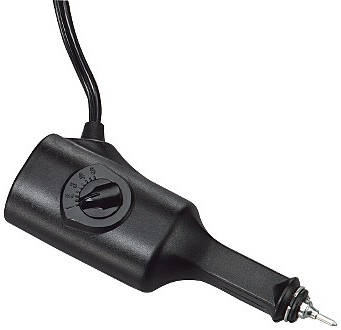 The integrated vacuum port fits either 1-1/4 or 2-1/4-inch vacuum attachments.